Last year, PNC Bank donated this ca. 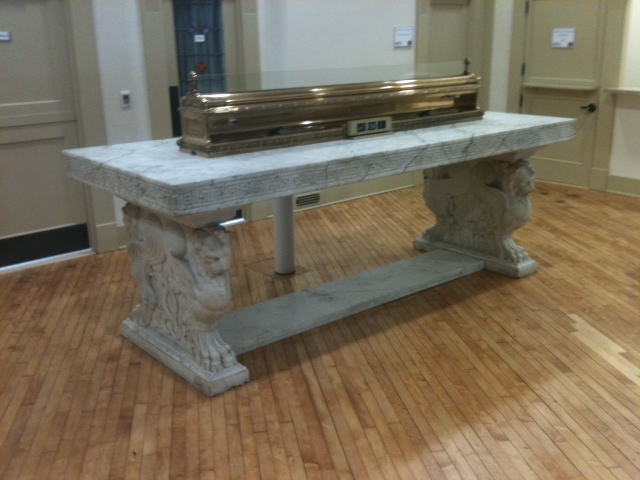 1905 marble banking table that had been in the lobby of the former Dollar Savings & Trust Company in downtown Youngstown. This beautiful table weighs about 4,000 pounds. The donation came during the the renovations to the Tyler History Center, making it possible to reinforce the floor to accommodate the extra weight. Thanks to a generous donation from Ryerson and Caren Dalton, crews from Murphy Construction, and Carroll Inc. installed the table. A thick piece of glass will be added on top of the table to protect the marble, allowing patrons to use the table during events. 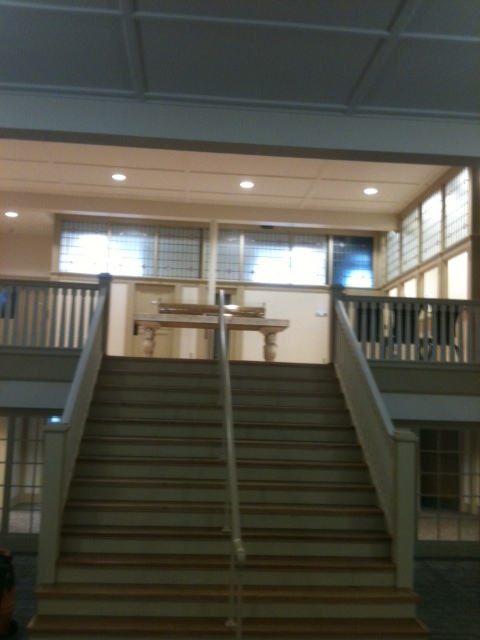 How in the world did a 4,000 pound table make it up those steps? The following video shows the process…enjoy!